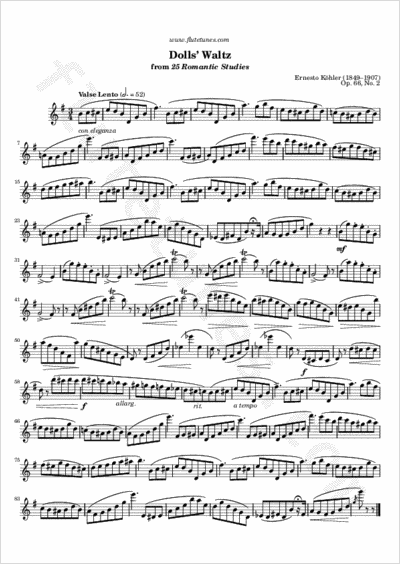 This elegant, graceful waltz is taken from Ernesto Köhler's 25 Romantic Studies, Op. 66. The only real difficulty here lies in the large intervals. Try to keep a steady tempo throughout the piece, and to differentiate repeated phrases with a careful use of dynamics.